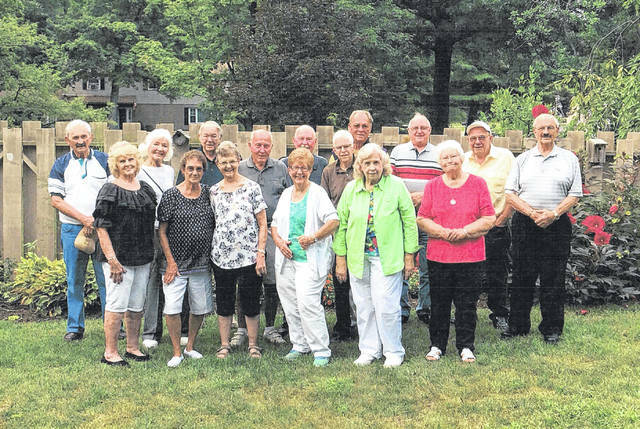 GALION — The Galion High School Class of 1953 had its 65th reunion the weekend of Aug. 17 and Aug. 18. On Friday night, classmates gathered at the home of Raymond Weithman in Galion for an informal picnic. Time was spent recalling high school days and catching up with old friends. Saturday’s celebration moved to the Skyway East in Mansfield, where there was reminiscing, and invocation and moment of silence honoring deceased classmates. Class members decided that every year they will meet at the Pizza Hut in Galion, on the third Saturday of August, for a luncheon.